ALERT! 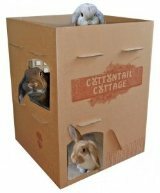 We have a critical need for additional RABBIT volunteers at this shelter. Please contact Isabel Meza at IMeza@ci.chula-vista.ca.us to volunteer. Rabbits are also available for adoption at the Chula Vista Eastlake PETCO, 878 Eastlake Parkway, Chula Vista, CA 91914, 619-397-6809. Please contact lSepton@ci.chula-vista.ca.us for more information about rabbits at this shelter.